Achieving balance is one of the hardest things to do in life. At Willamette Partnership, we continually search with every project for that balance. We don’t think we have to choose between economy and environment, collaboration and decisiveness, or between human and ecological health. Balance is a value that cannot be accomplished without diverse partners. In this year’s annual report, you’ll see some of the great examples of where a perspective of balance has ripened into some great outcomes–for people and for the environment. Meeting water needs of natural and human communities. 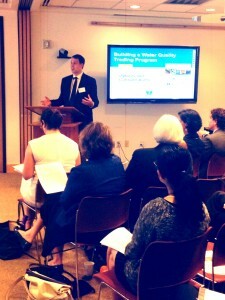 Bobby Cochran, Executive Director at Willamette Partnership, speaking at the Washington D.C. launch of the publication Building a Water Quality Trading Program. Photo courtesy of Carrie Sanneman. What happens when the Environmental Law and Policy Center, Milk Producers Federation, National Association of Clean Water Agencies, and 15 other organizations get together to talk about water quality markets? Turns out they have a lot in common. The National Network on Water Quality Trading released the publication Building a Water Quality Trading Program in June 2015, providing options, considerations, and examples at every step of building a trading program. The Network achieved balance between local innovation and national consistency and between environment and business interests. Now, no water quality market needs to start from scratch and evolving programs have a playbook that can improve water quality and reduce costs. Willamette Partnership and World Resources Institute helped facilitate the Network with support from USDA and the Electric Power Research Institute. 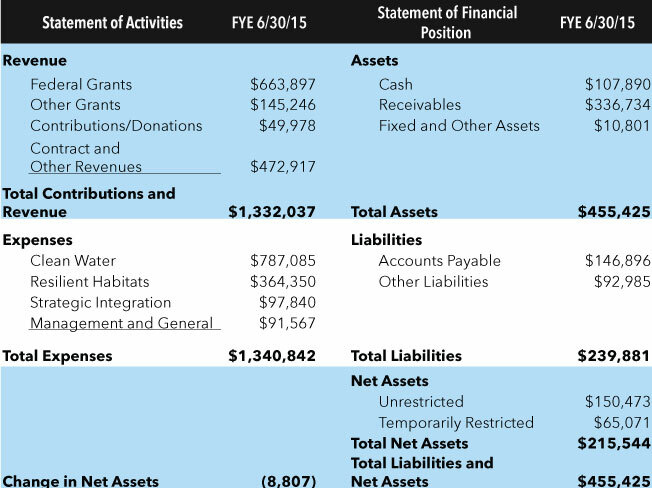 The Klamath Tracking and Accounting Program issued its first annual report, quantifying nutrient reductions from five restoration projects completed in the Upper Klamath Basin, using funds from four sources. Willamette Partnership facilitates the Klamath Tracking and Accounting Program with local partners from business, government, landowners, and restoration groups. Willamette Partnership has been providing information and examples on other water quality trading programs around the country to Oregon Department of Environmental Quality and Idaho Department of Environmental Quality as they update their policies and guidelines to support trading. In environmental markets, one of the biggest transaction costs is the time it takes to verify and track environmental credits over time. 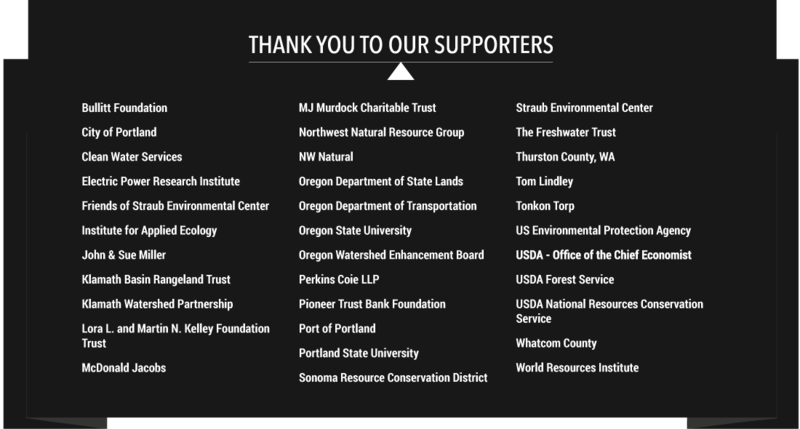 Willamette Partnership created new verification procedures and tracking tools that i) minimize the specialized expertise needed, ii) lower the fixed costs for market programs, and iii) make sure our programs are maximizing dollars implementing conservation efforts rather than describing conservation. Background photo courtesy of Carrie Sanneman. Creating networks of habitat sufficient to support native species and ecosystem function over time. Photo of sage grouse courtesy of Nick Myatt. 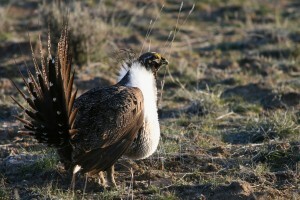 In 2015, US Fish and Wildlife Service decided not to list the Greater Sage-Grouse as an endangered species largely because of efforts led by landowners and states to conserve and restore the sagebrush ecosystems. The Oregon Sage-Grouse Action Plan was cited, along with other state and Bureau of Land Management actions, as an important part of this decision. Willamette Partnership helped develop the mitigation sections of the plan, which serves as a vision for how Eastern Oregon communities can grow their economies and enhance important habitat. The first Willamette Valley vineyards began restoring oak and prairie under the Incentives Trifecta Program, which provides regulatory certainty, sustainable certification, and a way to quantify the habitat benefits provided by land managers. Bethel Heights is restoring native oak with help from US Fish and Wildlife Service, and is helping recruit other landowners to sign onto efforts to commit to a net benefit for oak habitat across the entire Willamette. Willamette Partnership’s prairie and oak quantification tools are tracking these benefits. Can roads, fish, and wildlife co-exist? What do transportation planners need to best invest in water quality, wildlife, and other ecosystems? With the Institute for Natural Resources, Transportation Research Board, and other partners, Willamette Partnership built a guide for how transportation agencies can more effectively mitigate for the impacts of road projects. 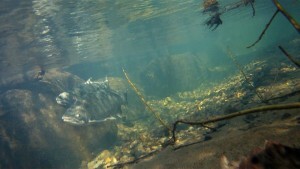 Coho salmon underwater. Photo courtesy of NOAA Fisheries. Oregon Department of Transportation (ODOT) and Oregon Department of Fish and Wildlife (ODFW) had a problem. Hundreds of miles of highway and stream culverts needed repair, but requirements to provide fish passage could turn a $2 million culvert maintenance project into a $20 million bridge project. But now, ODOT and ODFW have begun design on Oregon’s first fish passage bank on the North Coast. The “bank” is one of ODFW’s priority fish passage projects that will open up 23 miles of stream habitat to salmon on the East Fork of the South Fork of the Trask River. In exchange, ODOT can waive providing fish passage on culvert repair projects in limited, low quality habitat. This will reduce maintenance costs and generate benefits for native fish. Willamette Partnership and The Nature Conservancy built the pilot program with the necessary habitat quantification tools, contracts, and policy assurances. Background photo courtesy of Bruce Taylor. Summing the parts to create a better whole. It might feel obvious that spending time outside in the woods, on a river, or in a park is good for your health. That when we’re outdoors, we relax more, we enjoy time with friends, and we play more. Those outdoor experiences are creating measurable improvements in human health, but not equally for everyone. We have a lot of work to do to make the outdoors welcoming for everyone–especially communities of color. In 2015, we focused on building partnerships, linking up with Oregon Public Health Institute, Oregon Healthiest State, Portland State, Solid Ground Consulting, and the Intertwine Alliance to start an Oregon Health and Outdoor Action Framework. We continued our work building tools for communities to manage economic growth, public safety, and habitat restoration in Oregon floodplains. A group of partners developed a vision for smarter floodplain management we think will guide development of policy, science, and community engagement tools for local governments. Background photo courtesy of Nicole Maness. 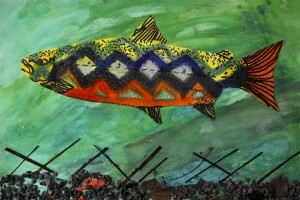 With the 2015 edition of the Honoring Our Rivers Student Anthology, we celebrated fifteen years of publishing student art and writing about rivers and watersheds in the Willamette Valley and beyond. With over 1,000 submissions from schools, after-school groups, and individual students across Oregon and Washington, we had our biggest year yet. For our fifteenth edition, we focused on the support of our partners, including the second year of a partnership with Straub Environmental Center in Salem and the Gray Family Foundation, providing nature writing and art workshops to teachers. To round out a momentous year, our annual Student Exhibition at Powell’s Books in Portland was accompanied by a month-long art display of past and present student art in the Pearl Room.